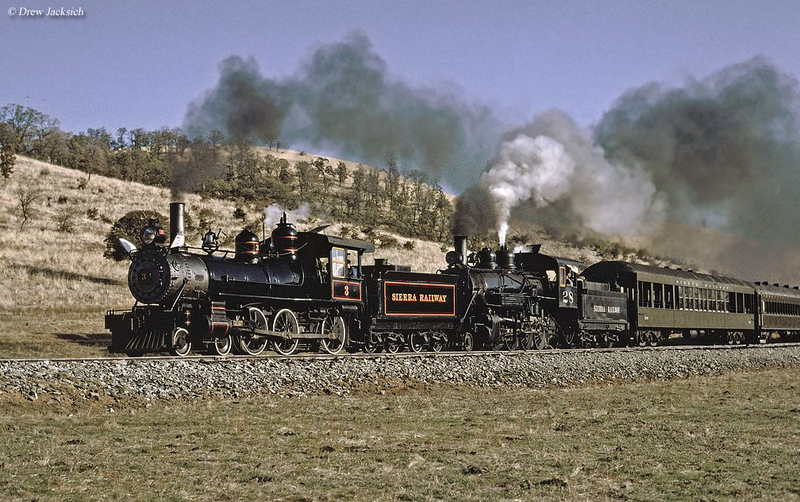 Of California's many tourist lines the Railtown 1897 State Historic Park provides one of the greatest collections of preserved steam locomotives related to the same railroad. The park utilizes a section of the historic Sierra Railway, based in Central California along the foothills of the Sierra Nevada Mountain Range. When built at the end of the 19th century the railroad moved largely timber and wood-based products after another gold rush fizzled away. It later converted a section of its line into a tourist attraction which is today's park. Visitors can now enjoy riding a stretch of this historic line or take part in one of their many special trips hosted throughout the year. 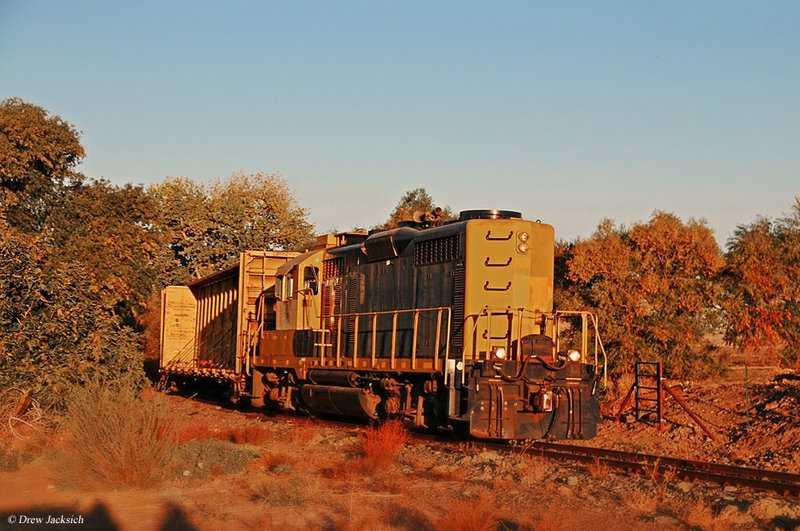 In addition, freight service is also operated on the property by the Sierra Railroad's subsidiary, Sierra Northern Railway (reporting marks, SERA). The history of what became the Sierra Railway Company of California began with its founding on February 1, 1897 by Thomas S. Bullock, Prince Andre Poniatowski, and William H. Crocker. While the operation became known for its movement of timber products it was originally envisioned as a means of serving California's "Second Gold Rush" in the Jamestown area and the surrounding Tuolumne County region near the Central Sierra Nevada Mountains. Work progressed quickly, which began construction a few months later in May near Oakdale offering connections there with both the Southern Pacific and Atchison, Topeka & Santa Fe (Santa Fe). Thanks to the region's relatively gentle topography, after only a few months the line had reached Jamestown, a distance of just over 41 miles. A few years later in 1900 rails were extended further east beyond Jamestown to the small community of Tuolumne. Altogether, the Sierra Railway owned a system of 57.43 miles with other stops along the way (from west to east) including Cooperstown, Hetch Hetchy Junction, Chinese, Sonora, and Standard. The company continued operating the entirety of its network for a number years before the 7.43 miles were abandoned between Standard and Tuolumne. The remaining 50 mile system continues to survive today although the railroad has had a feast and famine history. The "Second Gold Rush" was short-lived, lasting only until around 1906 and the company subsisted on little other means of freight except for wood-based products. As a result the Sierra Railway filed for bankruptcy in May of 1932 but saw recovery a few years later in 1934 when the West Side Lumber Company's sawmill reopened in Tuolumne County, which also operated its own 3-foot, narrow-gauge railroad (a system with its own fascinating history). This provided much needed freight traffic and the company eventually emerged from bankruptcy in March of 1937 as the Sierra Railroad Company. Following this event the new operation largely stayed clear of financial problems. Since 1929 the company has been used as a backdrop for Hollywood movies beginning with a film known as "The Virginian" featuring 4-6-0 #3. Over time it continued to gain fame with numerous other Hollywood features thanks to its historic right-of-way, property, and regional location. Another reason for its on-film success was its many preserved steam locomotives, some of which were still operational, despite switching to predominately diesel power in 1955. In 1971 the railroad first conceived the idea of "Railtown 1897" to cash in on its growing fame, hosting excursions open to the public. This continued until 1978 and then in 1982 the company sold its historic roundhouse and shops complex at Jamestown to the State of California Parks and Recreation Department, which formed the Railtown 1897 State Historic Park. Today, Railtown continues hosting trips on an annual basis and remains a celebrity within Hollywood. 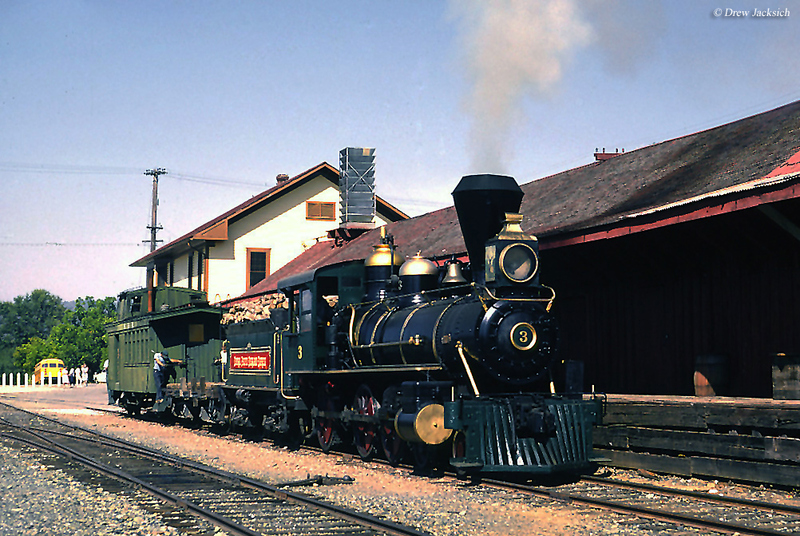 The railroad has now been featured in film more than 200 times with its more notable appearances including the major motion picture "Back to the Future Part III" starring Michael J. Fox and Christopher Lloyd and the "Petticoat Junction" television series. During each of these appearances the featured locomotive was again 4-6-0 #3, an 1891 product of the Rogers Locomotive & Machine Works of Passaic County, New Jersey. The little ten-wheeler is still operational today, pulling excursions along the railroad. In 2008 there was talk of California dropping the Railtown 1897 Park from its list of state parks. There were additional efforts carried out a few years later but as of today, and thanks in part to an army of volunteers, Railtown remains a state park. Their normal seasonal operating schedule is from April through October. 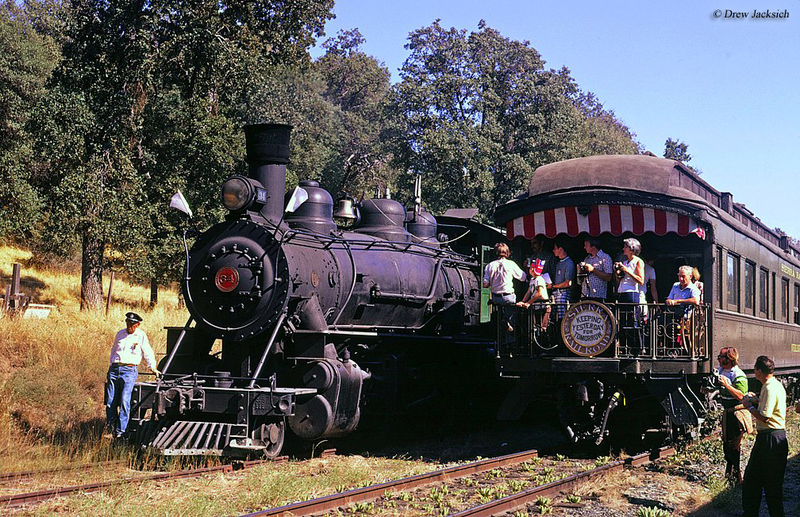 In addition to regular excursions the railroad hosts several seasonal specials including the highly touted Polar Express at Christmas, the Harvest Haunt Express, the "Apple Harvest Train Ride," and other noteworthy trips many of which are pulled by restored steam locomotives. To learn more about Railtown regarding scheduling, pricing, and their many rides please visit their website.